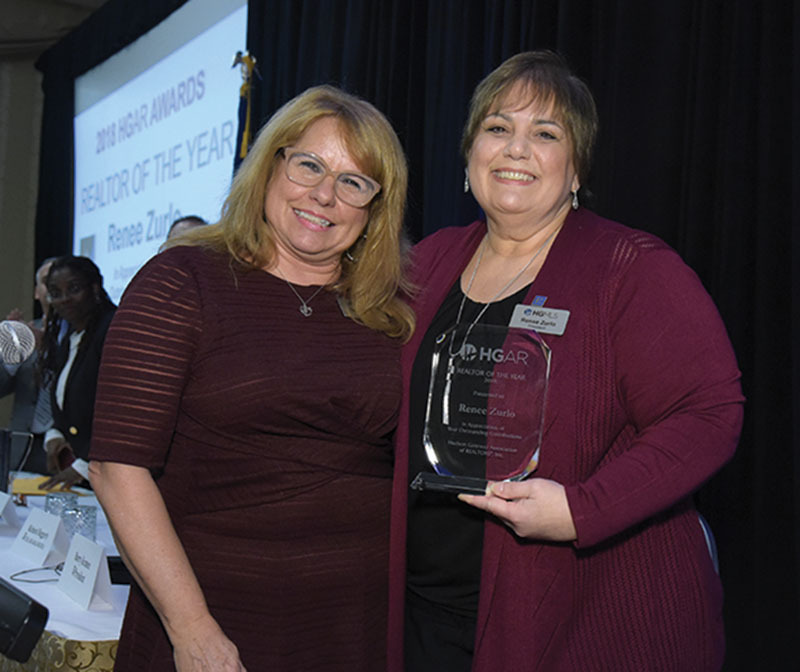 Tarrytown, NY At its 102nd Annual Meeting held October 29 at the DoubleTree Hotel, the Hudson Gateway Association of Realtors (HGAR) honored Renee Zurlo of BHG Rand Realty in Central Valley as its “Realtor of the Year” for 2018. 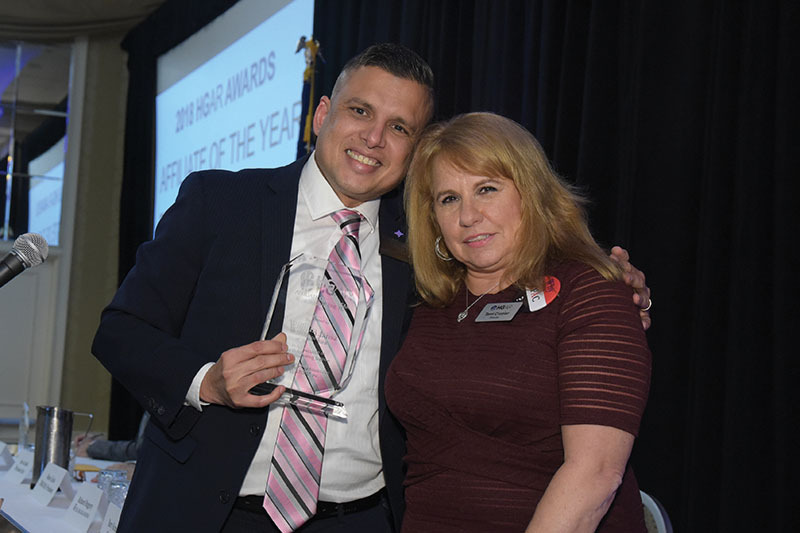 William Jansz, senior officer, bank administration for Trustco Bank, was named the HGAR “Affiliate Member of the Year” for 2018. 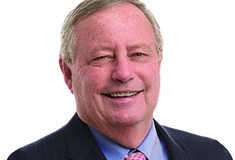 Zurlo has been a Realtor for almost 25 years and served as president of the Hudson Gateway Multiple Listing Services for the past three years. She has been very active in the association for many years, serving on several councils and committees. She is also a certified New York State real estate instructor. Jansz has been a continuous supporter of HGAR over the years, sponsoring and attending countless association events. Jansz has worked with Trusto Bank for over 15 years and oversees branch operations throughout the lower Hudson Valley. Spirit Awards: Crystal Hawkins Syska of Keller Williams New York Realty and Emi Cacace of Portico Realty Group. Both are co-chairs of HGAR’s Fair Housing & Cultural Diversity Committee. Extra Mile Awards: Ray Hollingsworth Falu of Hollingsworth Real Estate and Irene Guanill of Meet the Sellers. Both co-chair HGAR’s Broker/Owner/Manager Committee. President’s Award: Gail Fattizzi of Westchester Real Estate Inc. Fattizzi, who serves as secretary/treasurer for the HGAR Board of Directors, was chosen by HGAR president Barry Kramer for her hard work and dedication throughout the year. Albert Schatz Legislative Advocacy Award: Leah Caro of Park Sterling Realty. Caro has been instrumental in Realtor legislative affairs and planning of “Lobby Day” in Albany. She is a two-time past president of HGAR, the 2011 HGAR “Realtor of the Year” and a current co-chair of the Board of Directors for Westchester Residential Opportunities. Stephanie Crispinelli Humanitarian Award: Christopher Greco of Richard Greco Real Estate. Greco founded Christopher’s Voice, a non-for-profit organization created to help families of autistic children. He is also a decorated police detective, president of the Police Association of New Rochelle, and the recipient many police awards. Up & Coming Award: Richard Herska of BHG Rand Realty. Herska is co-chair of HGAR’s Realtors Political Action Committee. Edward Sumber Memorial Award: John Dolgetta of Dolgetta Law. Dolgetta was Sumber’s partner and now serves as HGAR’s outside counsel. 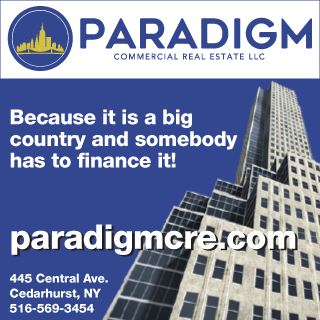 The Hudson Gateway Association of REALTORS (HGAR) is a not-for-profit trade association covering more than 11,000 real estate professionals doing business in Westchester, Putnam, Rockland, and Orange counties, as well as the Bronx and Manhattan. It is the second largest REALTOR Association in New York, and one of the largest in the country. The Hudson Gateway Multiple Listing Service (HGMLS), owned and operated by HGAR, offers some 24,000 properties in the Bronx, Westchester, Putnam, Dutchess, Rockland, Orange, Sullivan and Ulster counties. It is among the top 50 largest MLSs in the country.